Based on this quote you might think that the two most important people in the US presidential election are John Maynard Keynes and Friedrich Hayek. However, both of these men were influenced profoundly by two philosophers whose importance extends far beyond economics, Immanuel Kant and David Hume. Kant’s influence on today’s leftist movements is hardly likely to be surprising to most people. Kant’s attack on reason and reality started the whole German philosophical movement, which has been written about extensively. For instance, Stephen Hick’s excellent book Explaining Postmodernism shows this connection as do many other people. The connection between Kant and Keynes may seem more tenuous except that American leftists are inevitably Keynesians. However, the paper “The Philosophy of John Maynard Keynes (A Reconsideration)” by Elke Muchlinski shows that Keynes and Kant shared a common epistemological approach. Keynes delineated an epistemological approach to the theory of probability. He conceived probability in a broader sense, not only as a class which is capable of numerical measurement. He made a turning point to the categories of knowledge, ignorance, rational belief and precariousness. His method provides a background for his conception of convention which still encompasses the fragility and precariousness of knowledge. Keynes rejected formal logic as inadequate for his purposes to outline the process of acquiring knowledge. To defend his view of uncertainty inherently to all economic questions he relied to conceptions of degree of credibility, degree of confidence and conventional judgment. Seeing Kant’s and Keynes influence on a Hillary Clinton or an Elizabeth Warren is probably pretty easy for many people. 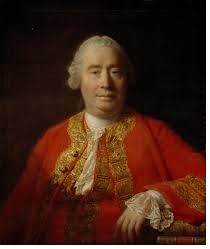 What is perhaps less well known is David Hume’s influence on U.S. conservatives and Friedrich Hayek. The blog The American Conservative calls Hume “The First Conservative” and the First Principles, a conservative philosophical journal agrees. Hume gave us the problem of induction, denied that causality exists, and most importantly for this article, he rejected Locke’s natural rights and the idea of ethics based on reason. Locke’s natural rights are enshrined in the Declaration of Independence, form the basis for the Bill of Rights, and was the foundation of most of common law at the time. Ultimately, Hume attacks reason and science in order to make room for religion and tradition. For Hayek, the rules of morality and justice are the same as they were for David Hume: conventions that have emerged and endured because they smooth the coordination of human affairs and are indispensable, given the nature of reality and the circumstances of human existence, to the effective functioning of society. For Hayek as for Hume the rules of morality and justice are not the products of reason and they cannot be rationally justified in the way demanded by constructivist thinkers. And since our moral traditions cannot be rationally justified in accordance with the demands of reason or the canons of science, we must be content with the more modest effort of “rational reconstruction,” a “natural-historical” investigation of how our institutions came into being, which can enable us to understand the needs they serve. It might be harder to see Hume’s influence on a Jeb Bush or Chris Christie, but it is there. The libertarians might argue that this argument does not apply to Rand Paul or a Ted Cruz, however the libertarian movement is also profoundly influenced by Hume and Hayek. For instance, the libertarian think tank Foundation for Economic Freedom (FEE) has a whole series of excellent lectures on the Scottish Enlightenment extolling the virtues of this philosophical movement, which definitely includes Hume and Hayek. What is missing from this election is a candidate that represents John Locke, natural rights, reason – in other words the values on which the United States was founded. Paraphrasing Ayn Rand, in a debate between two irrational positions, it is the one that asks its followers to believe in the most fantastical and the one that is willing to be the most ruthless that will win. For those of us in the patent business this means we are unlikely to see any improvements as a result of this presidential election. Patent law is based in natural rights and reason.